The pallet industry is a very competitive, price-driven localized industry. 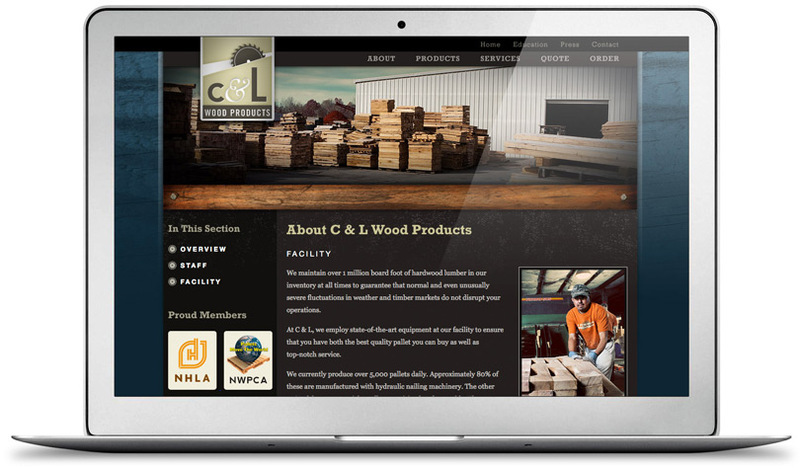 C&L Wood Products wanted to make it easy for customers to do business with them via the Internet and to communicate its commitment to quality as well. 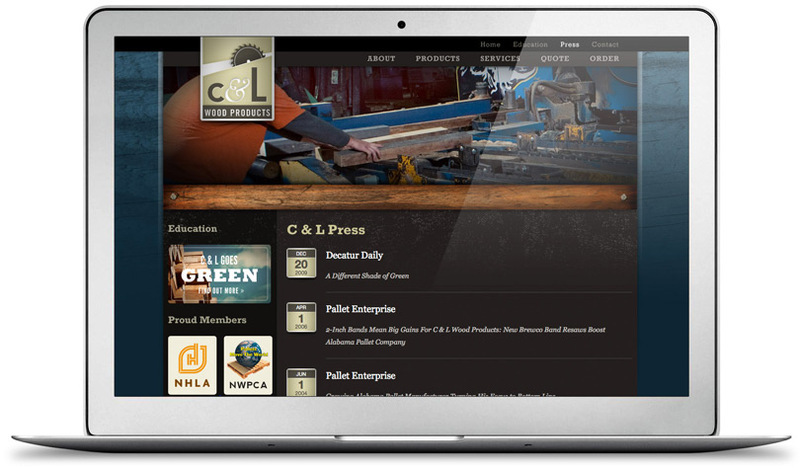 C&L enlisted the help of the McComm Group to create a logo and stationery and then the web site. We also have designed and produced a series of fun t-shirts for employees and customers. 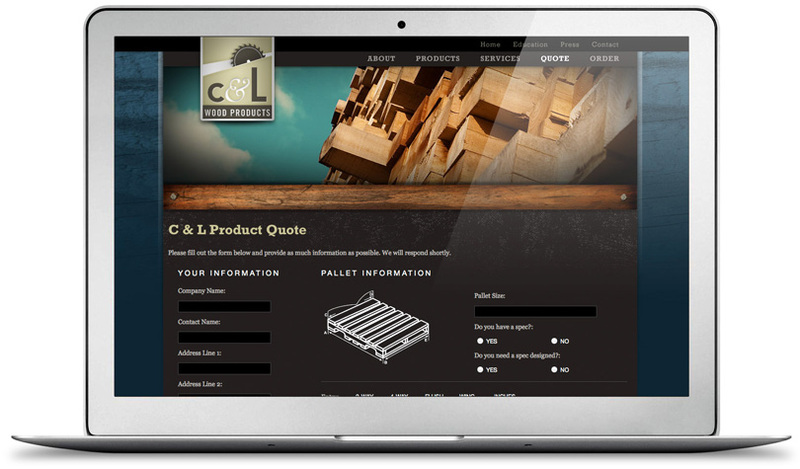 For the web site, owner Henry Bowman wanted the design to reflect that same sense of quality – a major differentiator in North Alabama’s saturated pallet market. To anchor the site, we shot photos that both show the product and act as the main artistic elements. 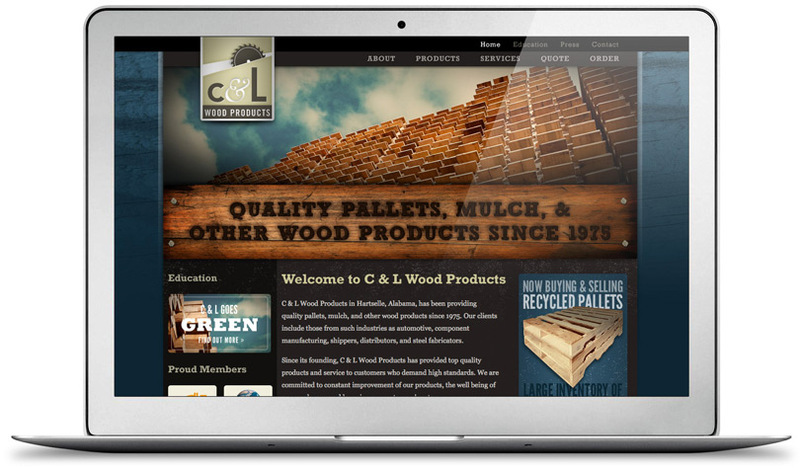 The site also incorporates C&L’s key messages graphically on the home page: quality, green philosophy, and recycled pallets. 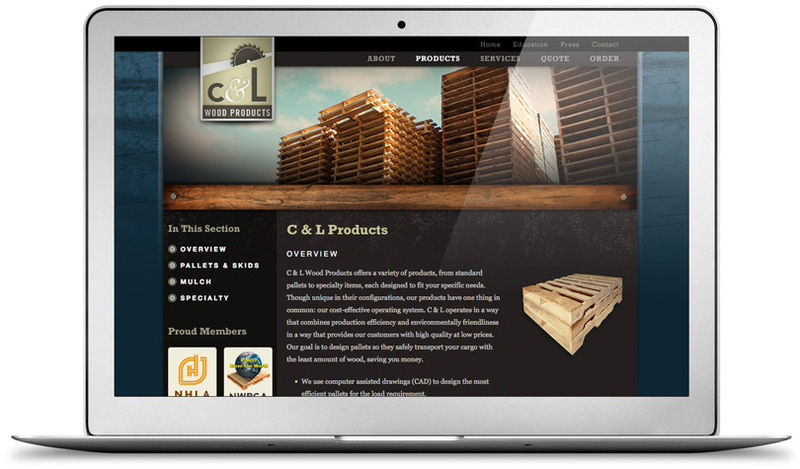 We built an online ordering system as a component of the web site, making is quick and easy for customers to do business with C&L Wood Products.